The rescue itself was deemed a ‘miracle’ as a hastily assembled flotilla of military and civilian vessels of every description ran a gauntlet of air attacks by the German Luftwaffe to ferry the troops to safety. For eight months, the opposing armies had only watched one another warily. Then, on the 10th May 1940, the Sitzkreig or ‘Phoney War’ was shattered with the German invasion of France and the Low Countries. In the north, 30 divisions of Army Group B advanced across the frontiers of The Netherlands and Belgium on a 200 mile front. Further south, 45 divisions of Army Group A slashed through the Ardennes Forest and skirted the defences of the Maginot Line. Led by one of the world’s foremost proponents of mobile warfare, General Heinz Guderian, German tanks and motorised infantry swept relentlessly northwest in a great arc, reaching the coast in only 10 days. The startling swiftness of the German offensive threatened to trap all Allied troops north of the thrust by Army Group A as Guderian sent three panzer divisions racing towards the Channel ports of Boulogne, Calais and Dunkirk. Three key positions, the French at Lille, Belgian Army units along the Lys River and the British at Calais, offered resistance to the German onslaught. Within 72 hours of reaching Abbeville, the Germans captured both Boulogne and Calais, and elements of the 1st Panzer Division had advanced to within 12 miles of Dunkirk, the sole remaining avenue of escape for Allied forces in northern France and Belgium. 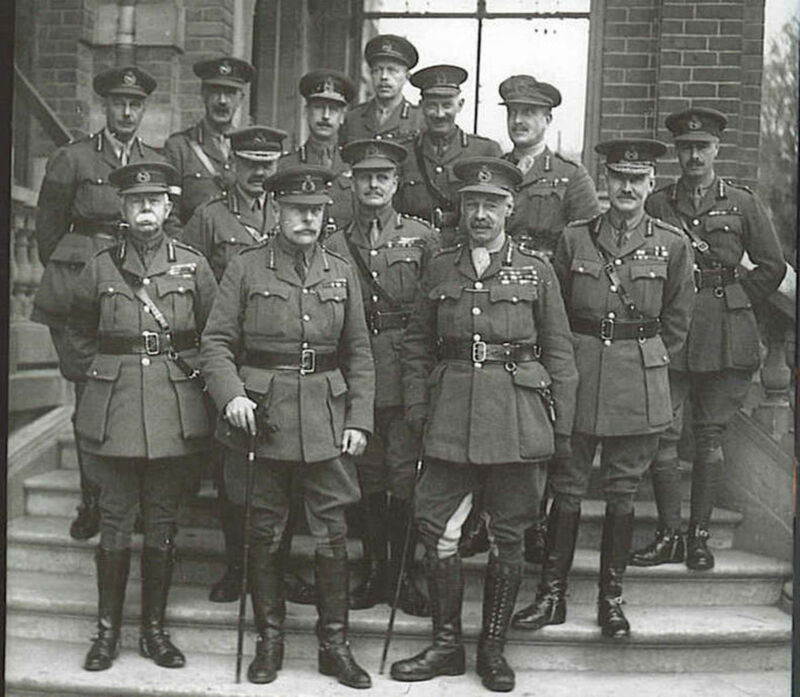 Although he had been ordered to mount a counterattack in support of the French, Field Marshal John, Lord Gort, commander of the British Expeditionary Force, chose instead to concentrate his troops in the vicinity of Dunkirk in order to evacuate as many soldiers as possible to the relative safety of England. 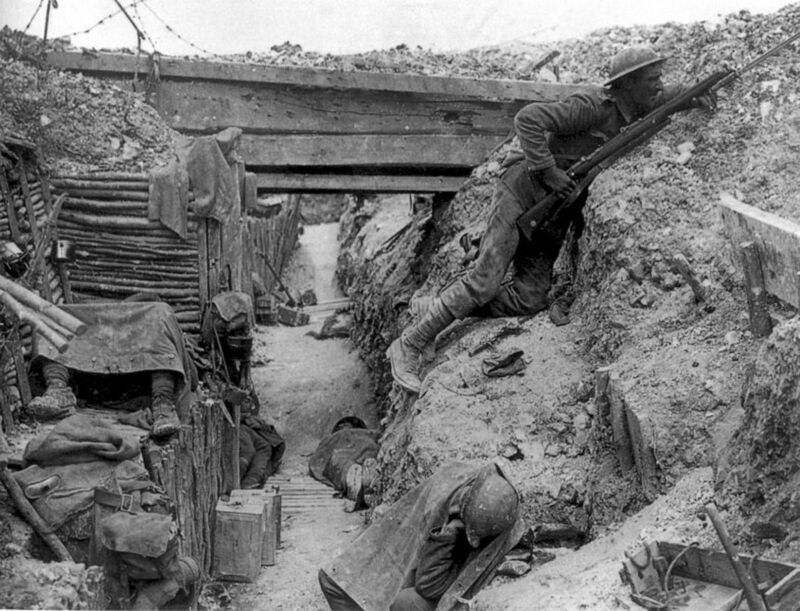 The heroic defence of Lille by the French, of Boulogne by the 2nd Battalion Irish Guards and a battalion of the Welsh Guards, and Calais by the British 30th Infantry Brigade, bought precious time for Gort to prepare a defensive perimeter around Dunkirk. But the effort appeared to be in vain as German tank commanders peered at the town’s church spires through binoculars. 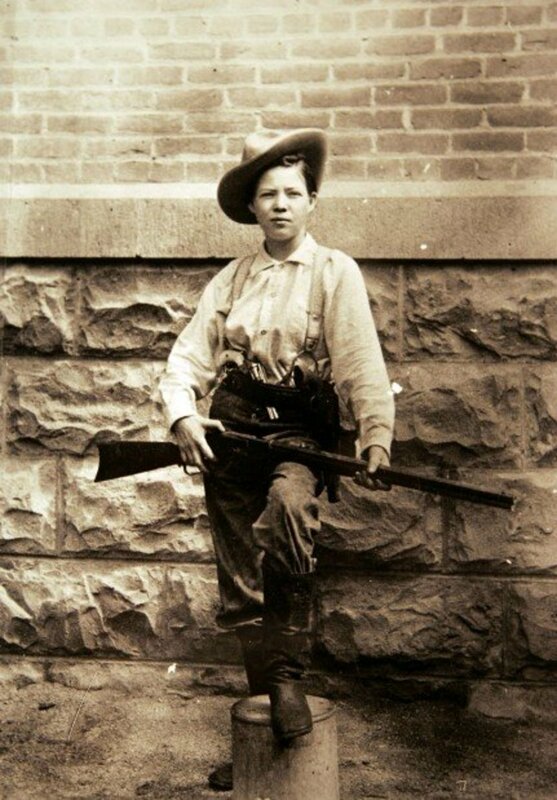 Did This Man Save The BEF? 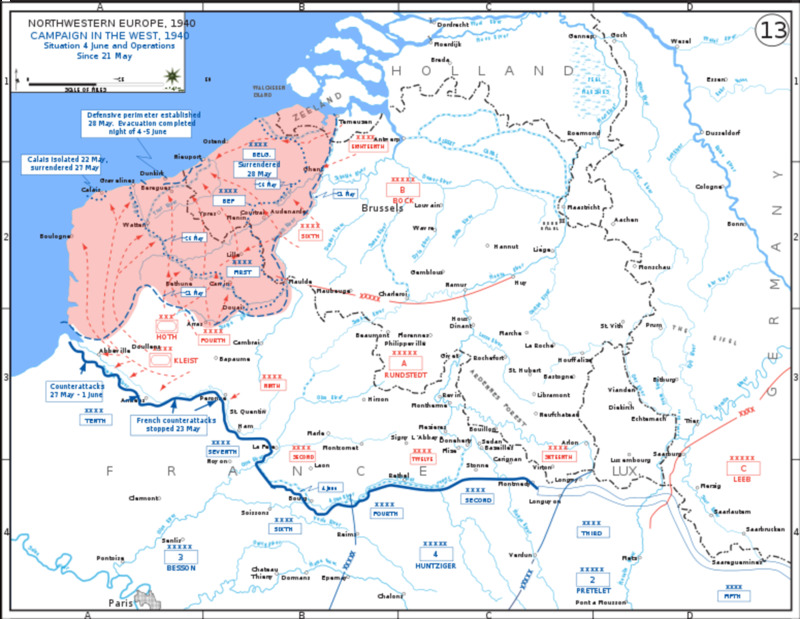 von Rundstedt's decision to comply with Hitler's halt order may have given the Allies the extra time needed to organise an evacuation from Dunkirk. Quite unexpectedly, the greater assistance to the Allied evacuation plan came from Hitler himself. On the 24th May the Fuhrer visited the headquarters of General Gerd von Rundstedt, commander of Army Group A, at Charleville. 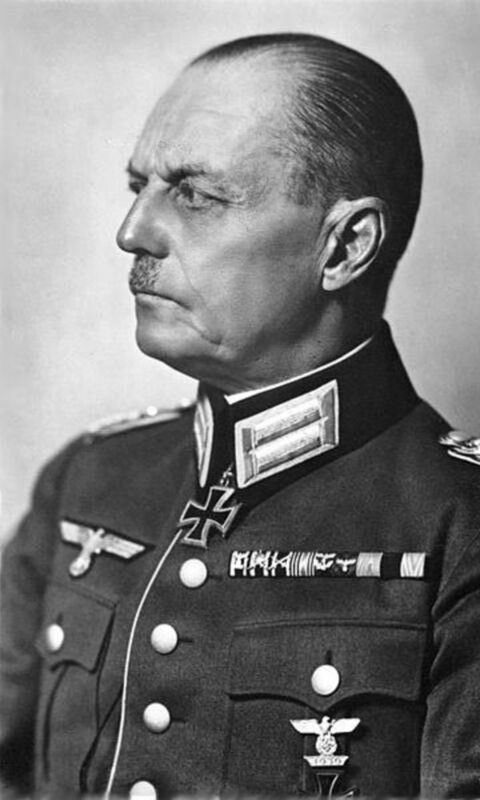 Influenced by Reichsmarschall Herman Goring to allow his Luftwaffe to deliver the death blow to the enemy at Dunkirk, Hitler directed Rundstedt to halt the tanks of six panzer divisions along the Aa canal. Guderian was rendered ‘utterly speechless’ by the order. 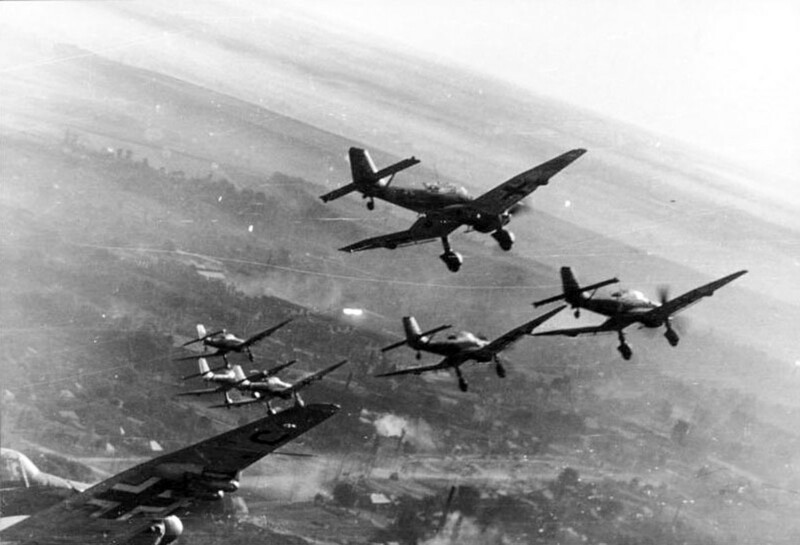 For nearly 48 hours the German ground assault abated and the Allied troops around Dunkirk were pummelled by screeching Stukas and strafed by Luftwaffe fighters. On the 26th May, the ground attack resumed but the reprieve allowed Gort to patch together the tenuous defence of a 30 mile stretch of beach from Gravelines in the south to Nieuport, Belgium, in the north. Two days later Belgian King Leopold III ordered his forces to surrender, and the Allied defensive perimeter continued to contract. Eventually the Allies were squeezed into a pocket only 7 miles wide. 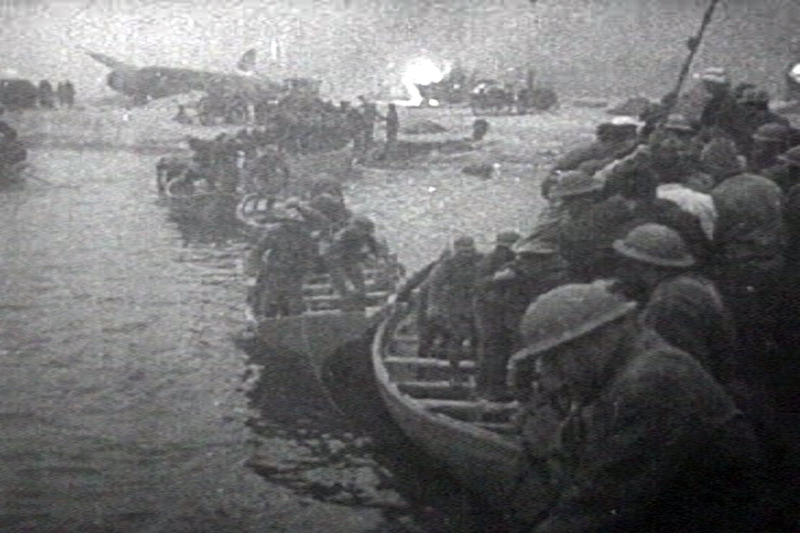 As early as the 20th May, while the Allied debacle on the Continent was unfolding, British Prime Minister Winston Churchill authorised the preparation of Operation Dynamo, the evacuation of the British Expeditionary Force from France. The hard pressed Royal Navy could not possibly supply the number of vessels needed for the rescue, and Vice Admiral Bertram Ramsey called for boats in excess of 30 feet in length to assemble at ports in England. Cabin cruisers, ferries, sailing schooners and their civilian crews joined Royal Navy destroyers in the treacherous 55 mile journey through a maze of German contact mines sown in the Channel, under continuous air attack and often within range of fire from German heavy artillery. Luftwaffe bombing had set the town of Dunkirk ablaze and wrecked the port facilities. Rescue vessels were compelled to risk running aground in the shoals along the beaches or to tie up at one of two ‘moles’- rocky breakwaters covered with planking wide enough for men to stand three abreast- in order to take soldiers aboard. Countless acts of heroism occurred as vessels made numerous shuttle runs. One 60 foot yacht, the Sundowner, carried 130 soldiers to safety, while close to a hundred perished aboard the paddlewheel steamer Fenella when a German bomb ripped through its deck and detonated. 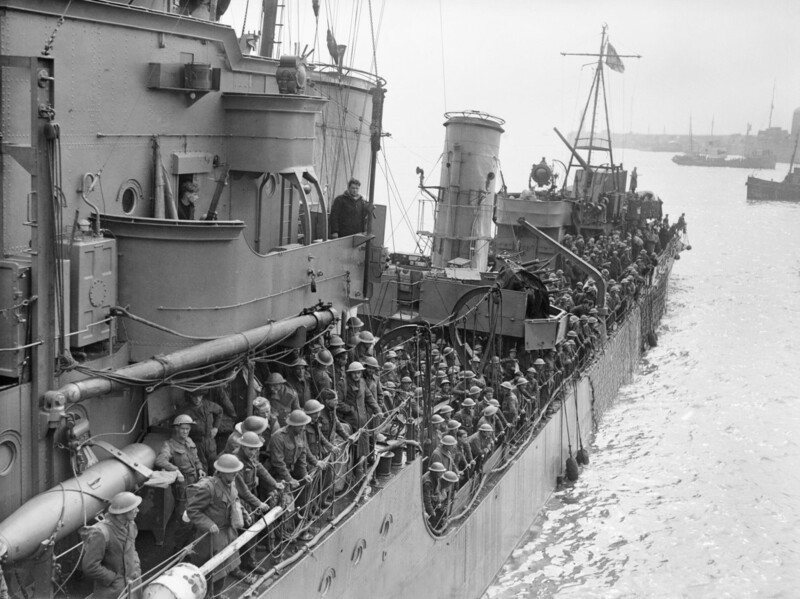 Nearly one third of the 693 boats involved were destroyed, but from the 26th May until the final rescue run in the pre-dawn hours of the 4th June, a total of 338,226 Allied soldiers reached England. 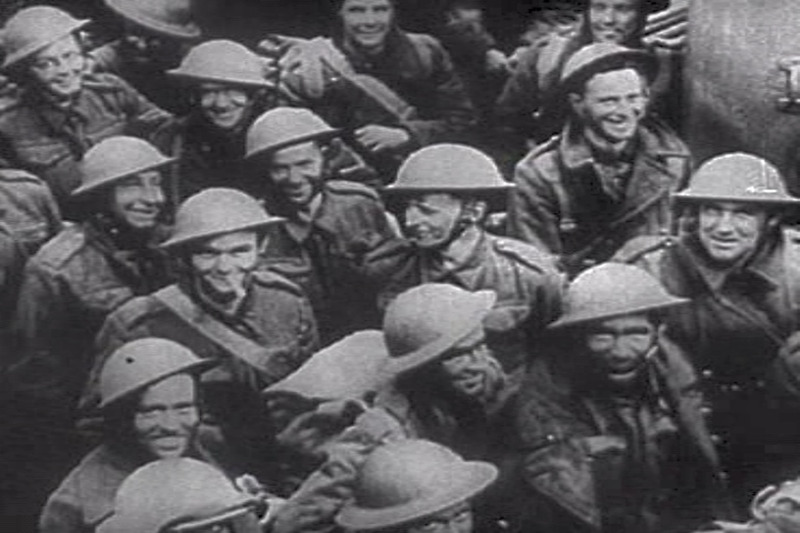 When the battered and exhausted Allied troops arrived, they were welcomed as heroes. 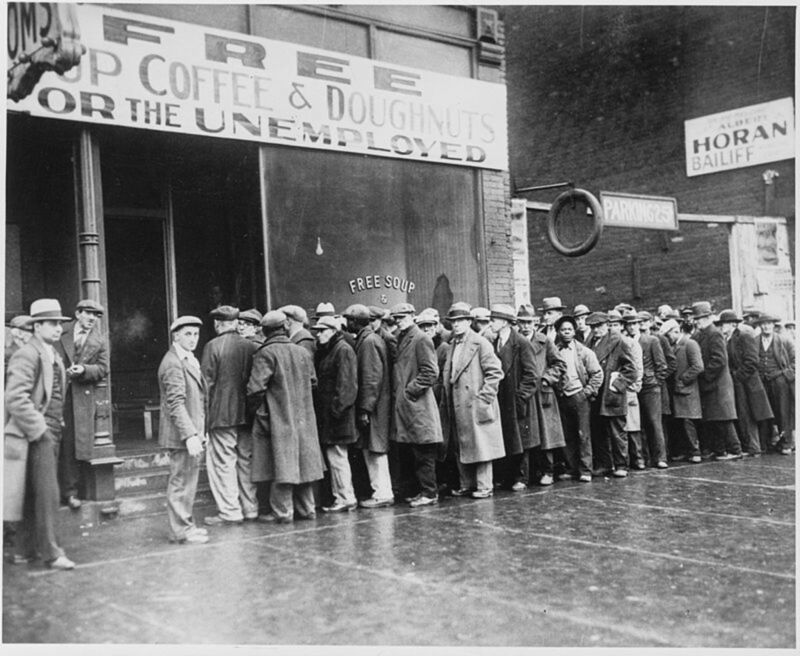 Townspeople poured out of their homes with food and drink for the famished soldiers. Virtually all of their heavy equipment had been abandoned on the Dunkirk beaches, thousands of their comrades were soon killed or captured, and the armed forces of Britain and France had suffered one of the greatest military defeats in their history. Historians have debated Hitler’s reasons for halting the panzers. Some assert that the focus of the Germans was already on the complete defeat of France and the capture of Paris. Others say that Hitler was concerned about the marshy terrain in Flanders, which was less than ideal for the manoeuvring of tanks. 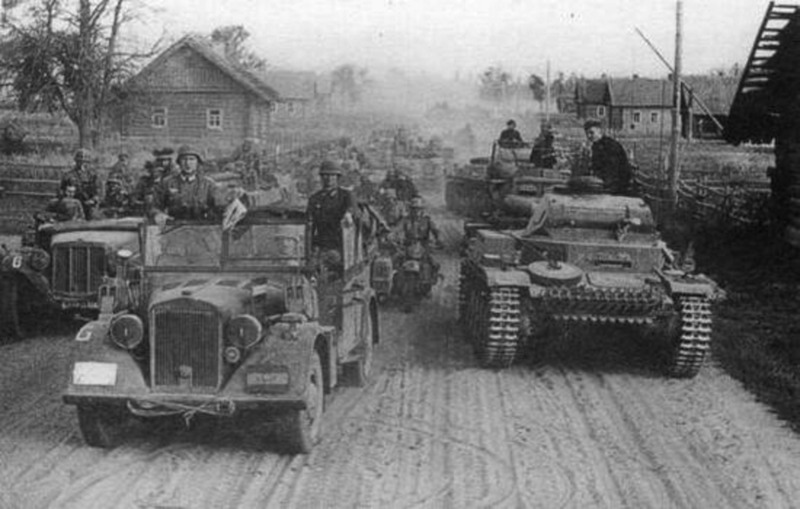 The tanks themselves had been driven rapidly and engaged for some time. Many of them undoubtedly needed refitting and some of their precious number would have been lost in all-out attack on the Allied defences. 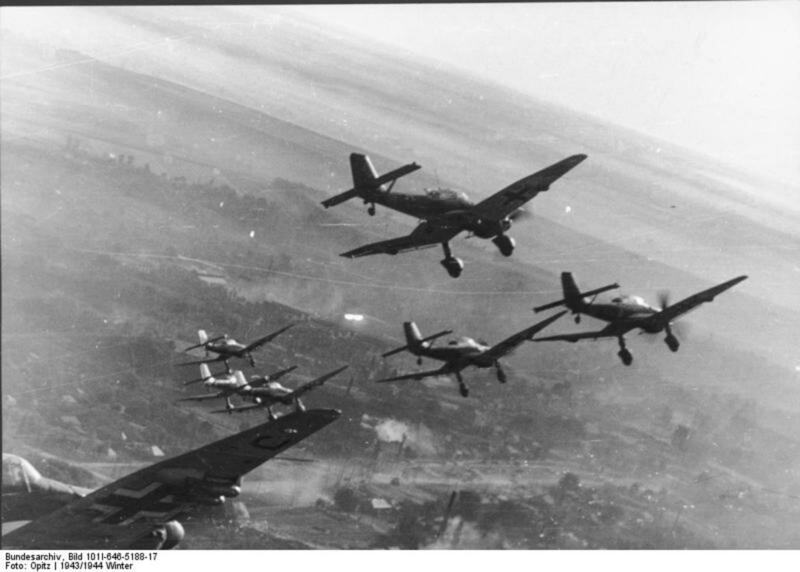 Goring had argued that the Luftwaffe was certainly more loyal and fervently Nazi than the leadership of the German Army; therefore, his arm should be given the honour of annihilating the enemy. Do not enmesh yourself in war or violence at any level. Do not make heroes of people who fight. Instead, move away from violence and lead a constructive life. Very interesting article. It is nice to see a hub of the day like this. Anzac Day is on the 25 April, in New Zealand, 100 years since world war one started, where my father-in law fought he returned, but my uncle never did. I had many relations in world war two and can still recall many things about this war even though I was a child. Those who live by the sword die by the sword. From the standpoint of the individual, do not enmesh yourself in war at any level; international, national, civil or personal. Raise your ideals. Thank you for a concise, well written Hub about the evacuation of Dunkirk. I was reminded of a story I read many years ago called, I think, The Rifles of the Regiment. The story was set amid the chaos and confusion of the retreat to and evacuation from Dunkirk. Congratulations on your Hub of the Day award for this post on the miracle of Dunkirk. Keeping the memories alive helps teach future generations to think and honers those who served and sacrifices. Thank you. A well-researched historical account of the Battle of Dunkirk, made even more outstanding with facts that involved your own granddad who was one of the Allied soldiers then. A clearer understanding is now obtained regarding the miracle behind the large evacuation of troops during the German onslaught. Congrats on Hub of the Day! Thanks for this informative hub! I've always liked reading or watching films about Nazism or Hitler's rise to power. They make me remember the atrocities that we Filipinos suffered from the Japanese in World War II. My Daddy told us of experiences in war and taught us that the knowledge of what happened is something we should always remember. You shared so vividly this time in our history...and although I have read of it before, I am still in awe of those who gave their lives during this war and thankful for those who did survive. First class as usual James. Always a treat to read your work. Thank you. Thank you very much Gypsy. 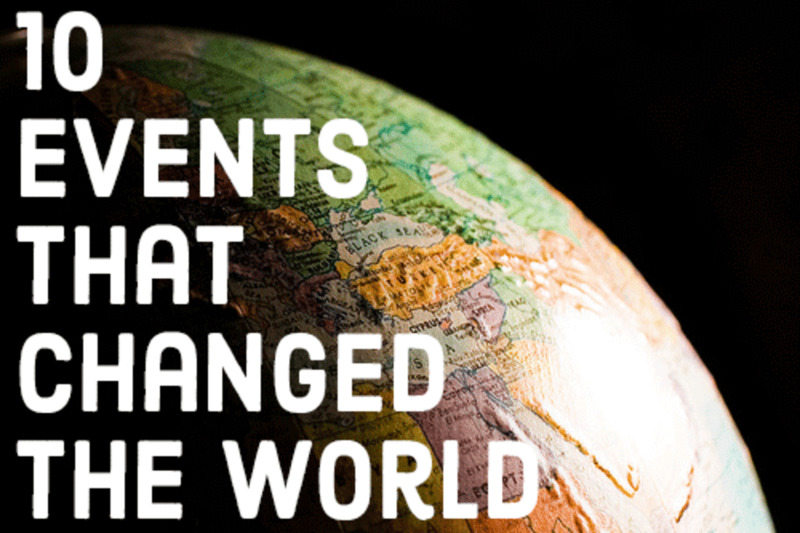 Thank you for another fascinating look into history. This was interesting and great videos. Passing this on. I think you're right UH, imagine how the might of the German war machine may have fared if people like Rommel and von Rundstedt were in overall charge. No doubt that I'd probably be speaking German. Thanks for popping by. Another great hub, JK. You know, I sometimes wonder whether Goering was a secret agent for the Allies. First, he wanted his Luftwaffe to finish of the British, French and Belgians at Dunkirk, then he swore they'd defeat Britain single-handedly and later, he promised the Luftwaffe would supply the encircled 6th Army at Stalingrad. If Adolf Galland-- or any of several others-- had been in charge of the Luftwaffe, things might have turned out very differently. Voted up, etc. Thank you very much DDE!